Note: Place the camera within the WiFi's range for the device to work effectively. 100% Wire-Free - Free of power cords. Weatherproof - Place indoors or out. HD Video - Enjoy sharp, detailed video. Rechargeable - Long lasting batteries. Quick Charging - Get fast battery charging. 2-way Audio - Listen in or talk back. Smart Siren - 100+ decibel siren. Wide-Angle - 130-degree angle lens. Live Streaming - Watch live or recorded. Night Vision - See even in the dark. Local Backup - Use USB storage for backup. Smart Home - Works with IFTTT, SmartThings, etc. Secure your recordings with an USB drive local backup storage option. 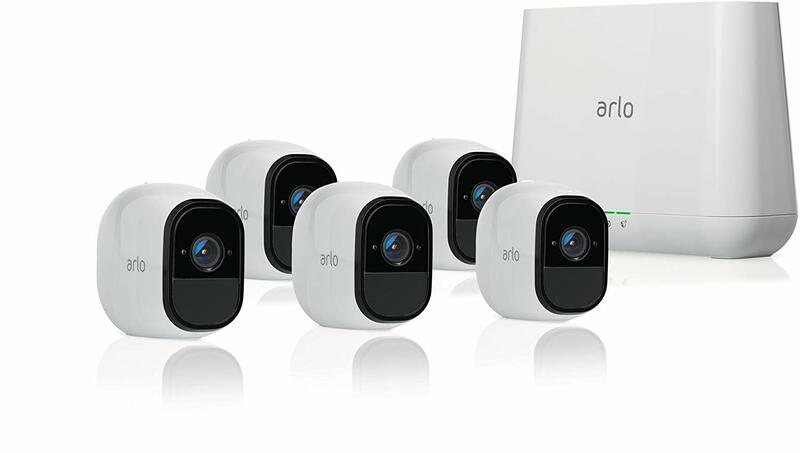 (5) Wire-free HD camera with audio. (1) Base station with a built in siren. (3) Wall mount screw set.